– A reminder system to automatically notify you when the next shower is coming up!! 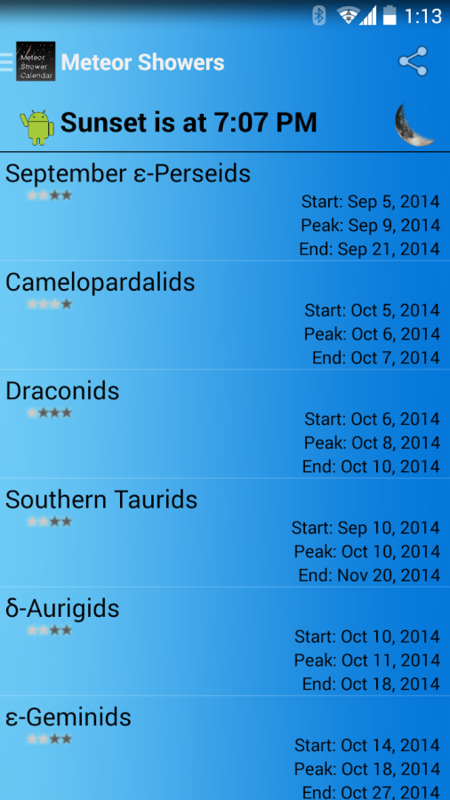 – Enable the “Auto theme” feature and the theme will automatically change to day and night mode before and after sunrise/sunset! 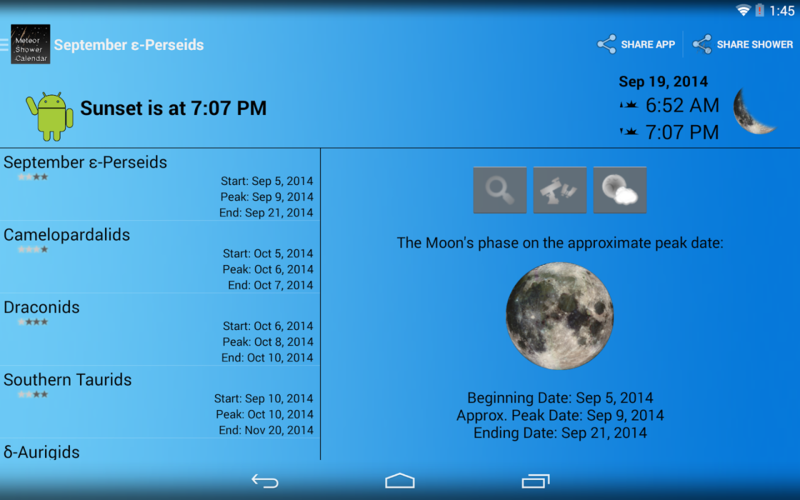 – Conduct a Google Search within the app to read even more about each meteor shower such as its origins and many, many other details and share it with your friends via SMS, Email, Facebook, Google+, Twitter, or any other social network! 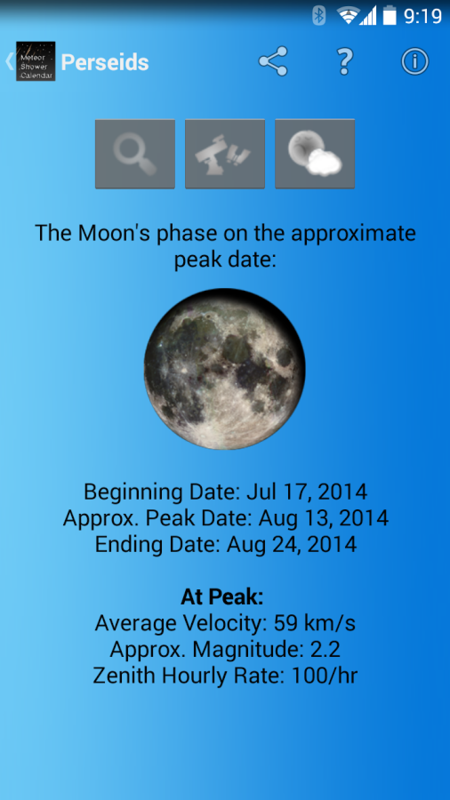 – Shows the Phase of the Moon on the approximate meteor shower peak date!